This afternoon I received from President Obama’s office an email whose subject line read “What I need from you”. It was about the action he’s taking on climate change. It’s admirable, the position he’s taking, at least the appearance of that position. I don’t think it’s enough. 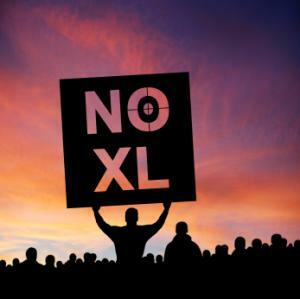 And what we need from you, Mr. President, is decisive and substantive action to back up your words, including your refusal to issue permits for disastrous efforts like Keystone XL, and including your refusal to bow any longer to pressure from Big Oil, Big Motor, Big Ag and the rest. Instead of allowing a clearly self-interested Congress to obstruct you at every turn, we need you to reverse Citizens United and put the power back into the hands of the people of this country–rather than corporate interests, who have nothing but their own profit margins in mind. Corporations will *never* act in the best interests of the people of this country (with the possible exception of Costco); they will only act in the interests of their stockholders. Right or wrong, that’s how the system is designed. Citizens United goes against everything this country was founded on. Substitute major corporations with the British ruling families, and you have exactly the same situations that caused us to break away from the Empire in the first place.